I'm thankful for joy I feel on a color-coordinated ride over hill and dale. I'm thankful for the wind-cheating qualities of 100-percent polyester. I'm thankful the skis only appear to be stuck where the sun doesn't shine. And I'm thankful it's Nov. 14, 2016. In the early 1960s, the premier snowmobile race in North America was the Rhinelander (Wis.) Hodag Marathon. A cross-country race, the Hodag ran through the Wisconsin Northwoods, including going down main streets in towns like Eagle River, Three Lakes and others. It helped set the stage for the first derby on Dollar Lake near Eagle River in 1964, which would become the Eagle River World's Championship. Click for some great pix from the 1966 edition of the Hodag, and check out the sweet Model 100 and 140 Arctic Cats! Happy Birthday C.J. (and, as always, thanks for your amazing writing)! Today (Nov. 14) would have been C.J. 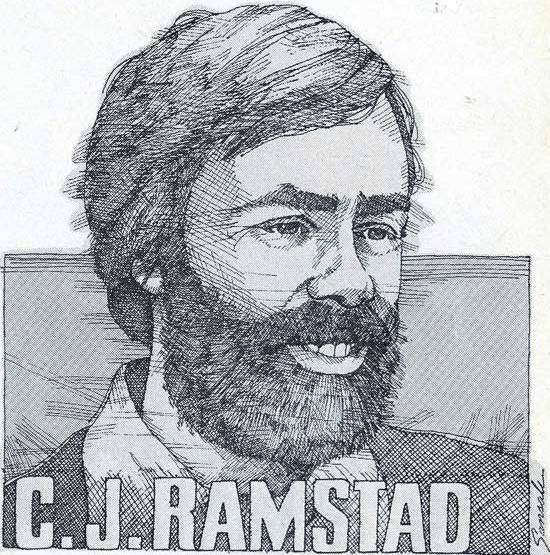 Ramstad's 71st birthday had he not died in a tragic automobile crash with his son, J.J., in May 2007. C.J. was an outstanding writer because of his ability to capture the essence of whatever he was writing about. His column (click for it) from the Jan./Feb. 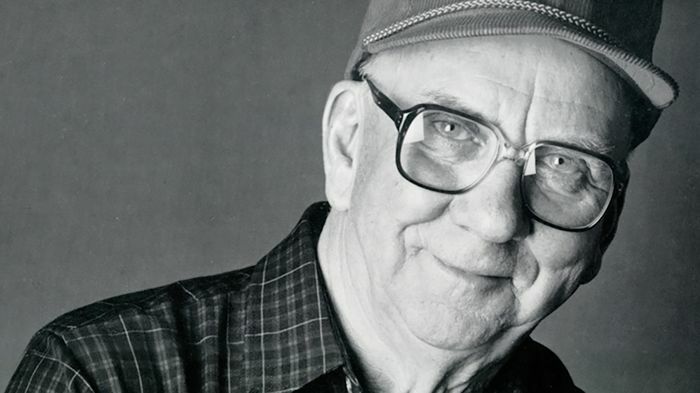 1982 issue of Snowmobile Magazine is a prime example, in which he describes a tribute to Edgar Hetteen, the so-called Grandfather of Snowmobiling. It's an especially timely column because of the recent passing of David Johnson, Edgar's brother-in-law, who plays and important role in the story. And thanks for all you gave the sport of snowmobiling. Seeing this makes me feel good. 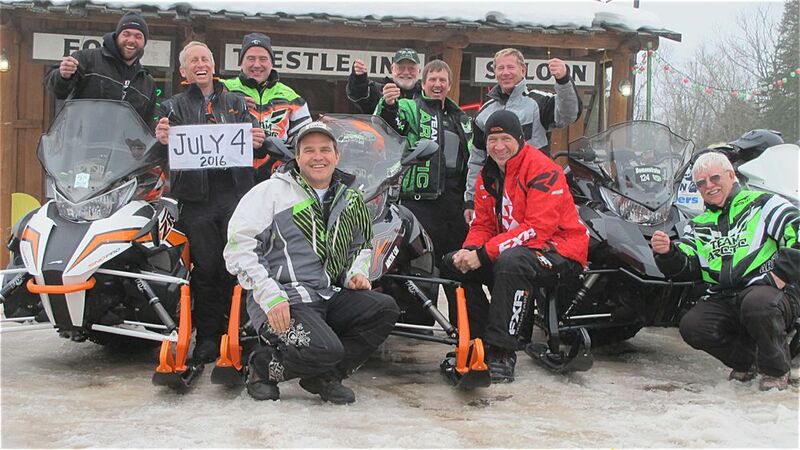 I'm thankful for the great, extended season of snowmobiling that saw us eke out one final ride on July 4, 2016. 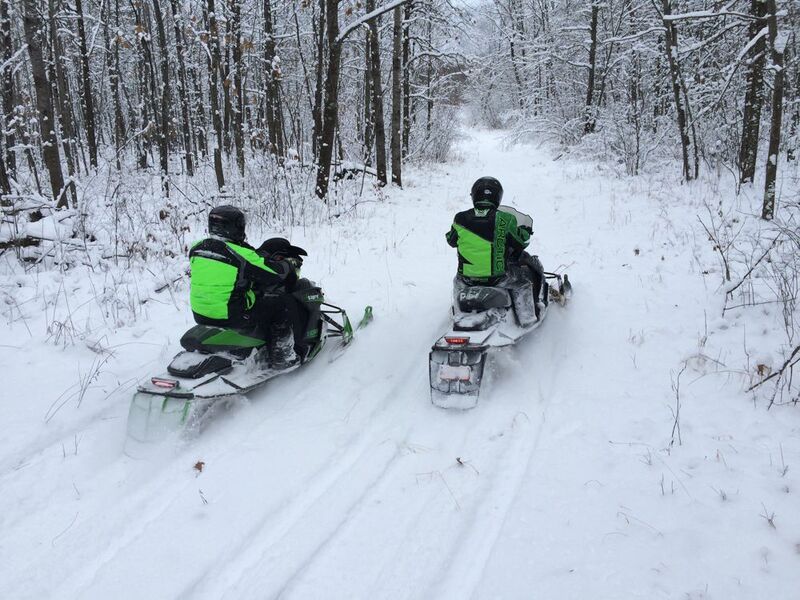 I'm thankful for the incredibly short off-season that snowmobilers must suffer through while #waitingforwinter. On this day WAY back in 1991, a low-pressure system carried precipitation from the Gulf of Mexico straight up the midsection of the country, where it collided with a massive, cold high pressure system from the north. 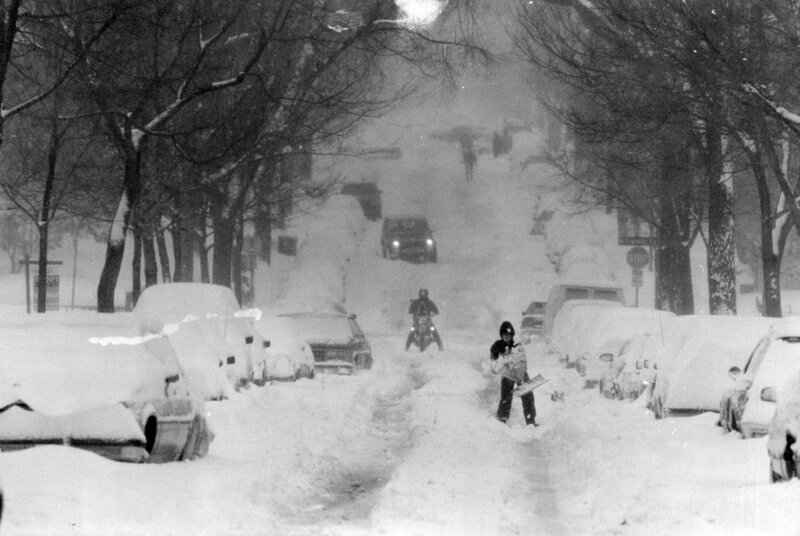 Three days later, upwards of 30-40 inches of snow had blanketed a large swath of Minnesota and Wisconsin. 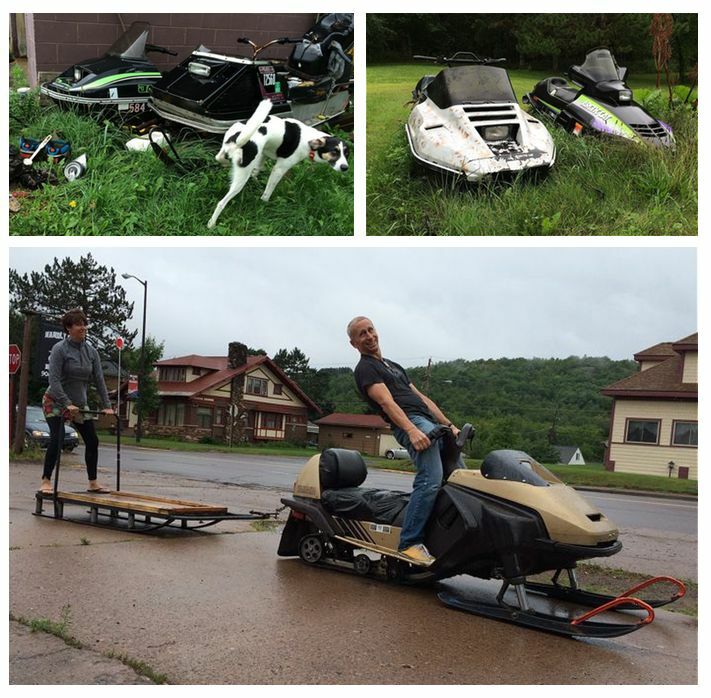 Dubbed the Halloween Blizzard (10 inches of snow fell that night), it was a watershed weather event that paralyzed cities and certainly caused a lot of hardship for some, yet gave snowmobilers the greatest candy of any Halloween ever. Friends and I snowmobiled all over the Twin Cities (on major roads, highways and even freeways) for two days until the plows finally got on top of the situation. I know of people who did laps around the Metrodome in Minneapolis. It was incredible. Click for some swiped photos of that storm. 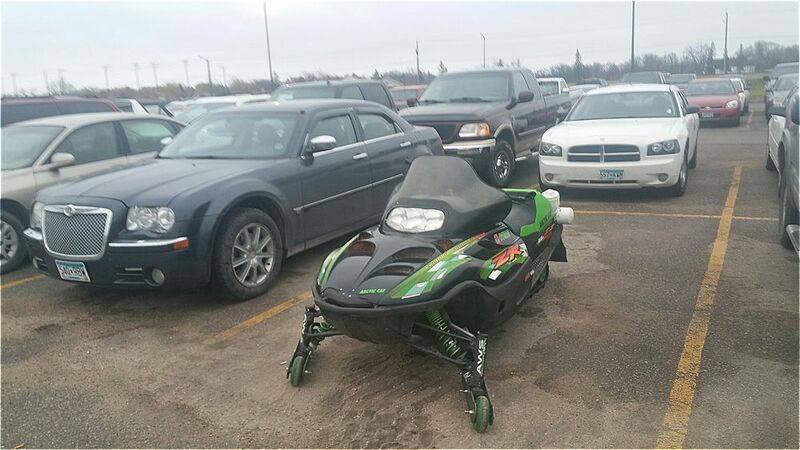 Nothing unusual going on here in the parking lot today at Arctic Cat in Thief River Falls. Just the same, good ol' passion that's been burning bright since 1962. 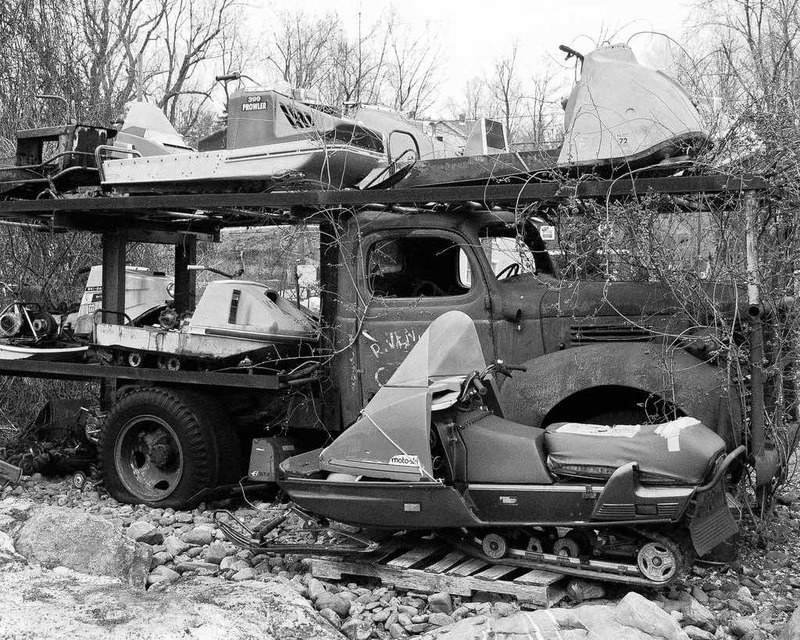 I'm thankful that, when it was time to park the sleds for the summer, Elmer was careful to take care of his precious fleet. I'm thankful that vintage top deck systems are dang cool and badass (just like vintage snowmobiles). I'm thankful that all these sleds will "run on spray," and that they'll be ripping along nicely just as soon as the snow flies. And I'm thankful that I rose from my slumber on this, Friday October 28, 2016. 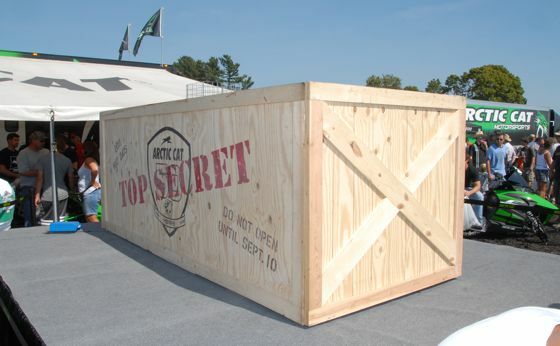 How fast is the new Arctic Cat Thundercat? Thank You David Johnson (and may you rest in peace). David Johnson died this past Saturday at age 93. Johnson was one of three founders of Polaris Industries of Roseau, Minn., along with brothers-in-law Edgar and Allen Hetteen. 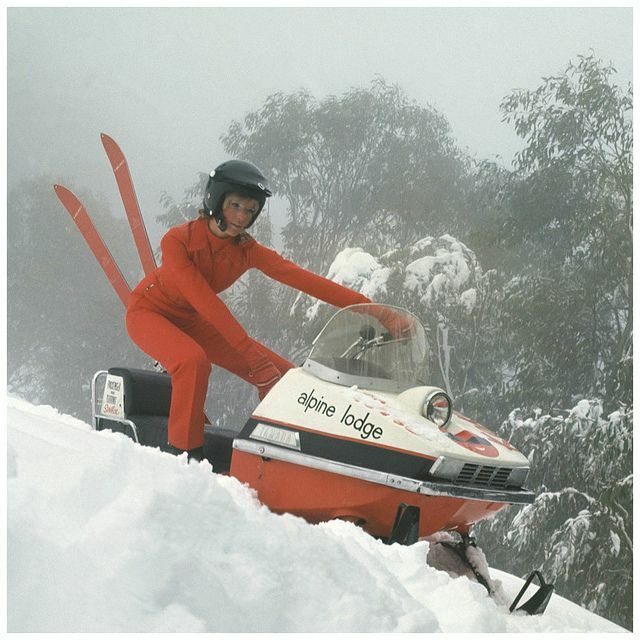 Johnson is widely credited as the one who build the first Polaris snowmobile in 1955. He was a humble, gracious man who left indelible tracks for the company and the sport of snowmobiling. The world is a better place today because of David Johnson. As if the sleds themselves weren't already incentive enough...riders who buy a new/unused 2013-2017 Arctic Cat Snowmobile from an authorized Arctic Cat dealership from Oct. 1-Nov. 30, 2016, will be reimbursed for the cost of a 2017 Canadian Trail Permit. It's a sweet way to support the Canadian trail system and buyers of Arctic Cat snowmobiles. Watercross isn't just a sweet sport for U.S. champs like Dale Lindbeck...it's also an export that's grown huge across the pond. 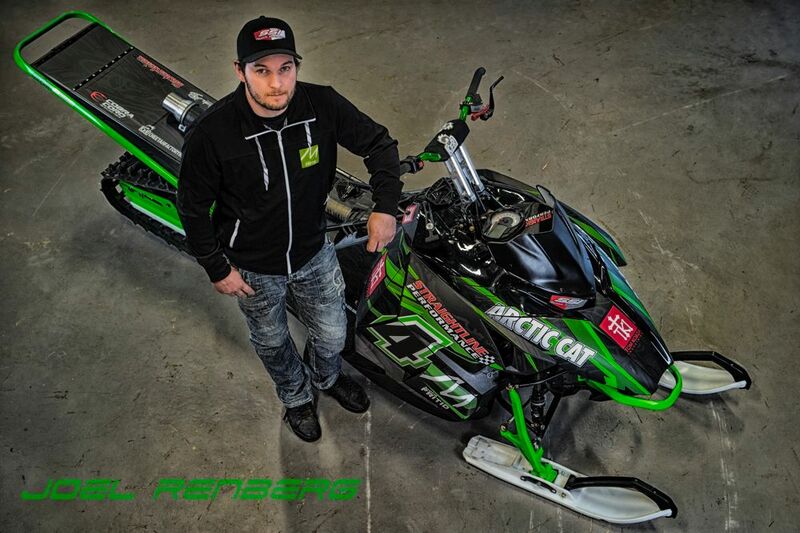 For example, check out the sweet sled and results of Team Arctic’s Swedish watercross champion Joel Renberg. 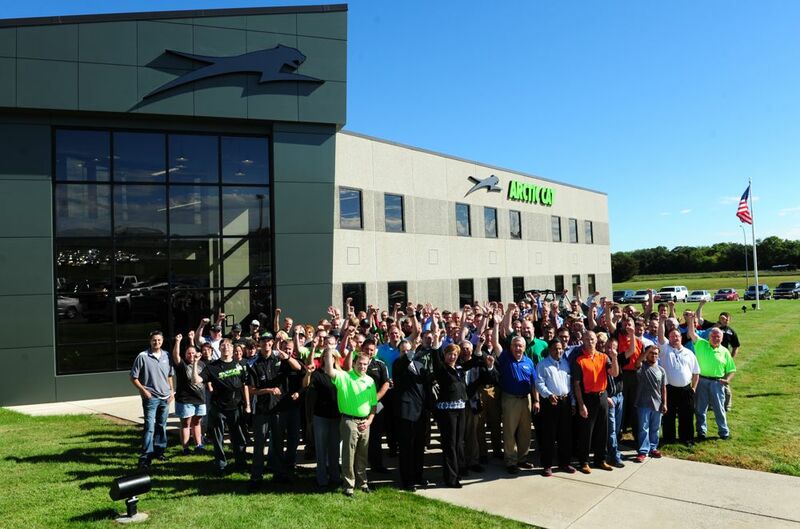 I was at Arctic Cat’s recently expanded engine production (and engineering) facility in St. Cloud, Minn., earlier this week for a ribbon cutting featuring various dignitaries from the St. Cloud area and Arctic Cat. The occasion was to celebrate the makeover and expansion of the St. Cloud facility; thank the great employees are designing machines and building engines there; and "rev the engine" of a company that's going full-gas down the patch set forth by CEO/President Chris Metz. Based on what I saw on computer monitors of CAD designers at St. Cloud, and what I gleaned from conversations with several engineers, this is going to be a fun, wild ride! Yep, there’s A LOT of cool stuff coming. Click to get your motor running. The Snowmobile Hall of Fame and Museum in St. Germain, Wis., announced its four inductees for 2017: Burt Bassett, Bill Bickford, Pat Hauck and John Hooper. Great men all...these four honorees will be inducted into the SHOF on Feb. 18, 2017, in St. Germain, coinciding with the annual Ride With The Champs and other events . I might be a little biased, but I'm here to tell you that this event is great fun, full of human goodness and a special opportunity to be among awesome machines and people. Other than myself, everyone there will be really cool. Click for the career highlights of the 2017 inductees. Answers?!? I hope you have some! 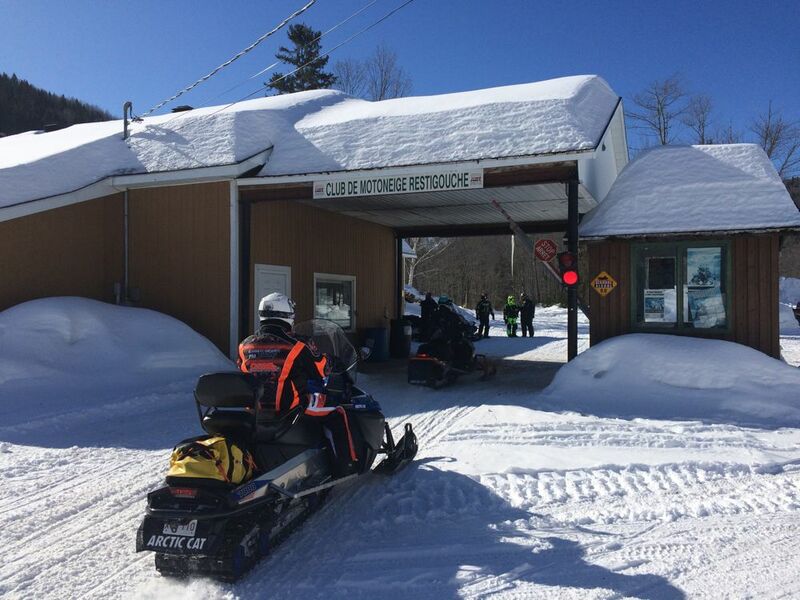 Every year the Sno Baron's Hay Days serves up the first BIG taste of winter and snowmobiling. With this being the 50th Anniversary and all, I thought I'd ask YOU some of the key questions about what EXACTLY will go down this weekend in North Branch, Minn.
Click to to join the curiosity. How about a 5.16-sec./138.1-mph run in just 660 feet? Sounds pretty tasty. How about doing that naturally aspirated? Delicious! 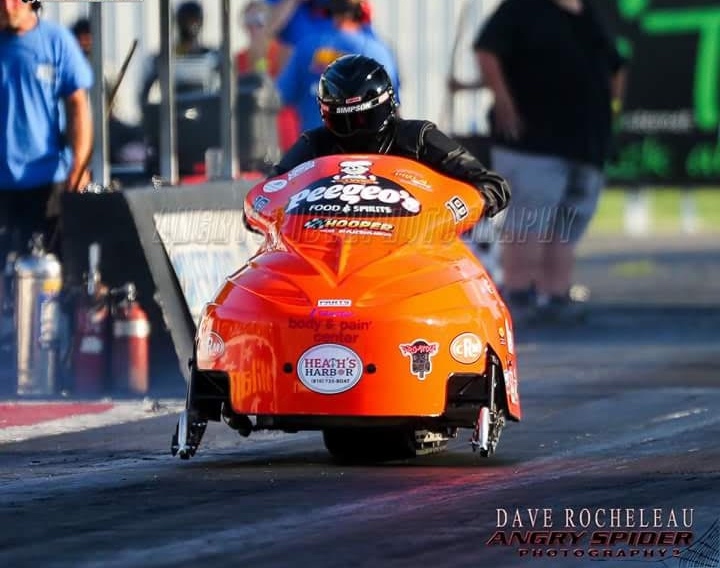 That's what John Reid's Arctic Cat Thundercat with a Hooper-built 1404cc triple hit this summer. Click to read the details. The Sandberg family was on vacation this past week, for a nice trip to Copper Harbor, Mich. During the 20-or-so hours of driving, I couldn't help but chuckle at how differently we see the world through our truck's windshield. She sees cute houses, coffee shops, gardens, restaurants, school buildings (she's a teacher) and people. Conversely, I see snowmobiles, motorcycles, bicycles, ATVs, trail signs and old cars/trucks. Click to read a little more. As noted in this recent story about a trip to TRF, Arctic Cat engineer and vintage sled business owner Greg Spaulding will auction off his collection of 140-plus vintage sleds. The auction is set for Saturday, Sept. 17, near St. Hillaire, Minn.
Click to see a full list of machines that are going on the block. 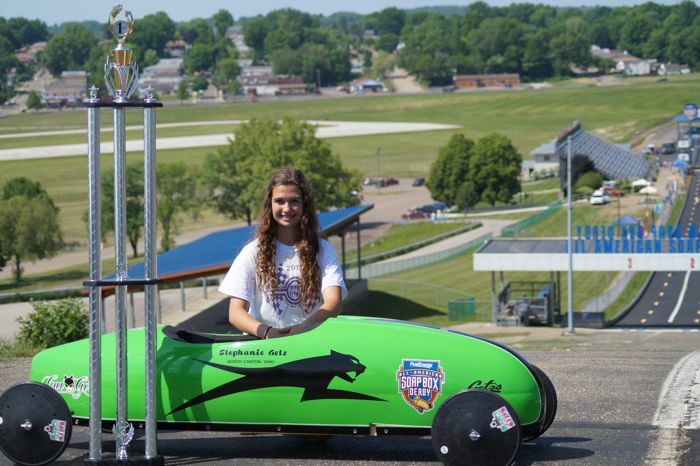 Recently Amy and Stephanie Getz raced to top finishes among 450 competitors at the 79th running of the FirstEnergy All-American Soap Box Derby at the world famous Derby Downs track in Akron, Ohio. Click to see a few pix. Tis' the summer of Road Trips for some Arctic Cat people, and I got in on the action early this week with my friends Tom Rowland and Jim Dimmerman. 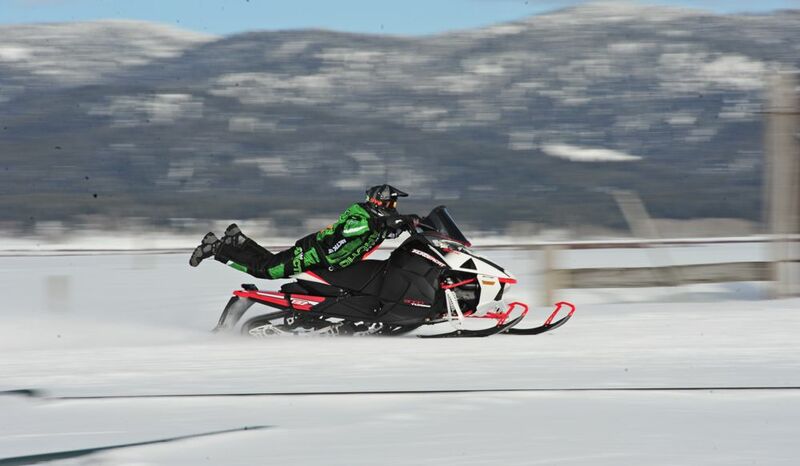 The stated purpose of the trip was for Rowland to pick up a couple "retired" race sleds for his collection, and for an evening BBQ with fellow Arctic Cat friends Greg Spaulding and Larry Coltom. But like any good road trip, it's the stuff that we weren't expecting that was the most memorable. Click to see the postcards from our trip.